I’m one of those people who isn’t driven by the thought of being rich but i do understand that money is important/necessary. I am not currently in debt but I will be- to the SLB- real soon. It’s a most disgusting thought and I fought it it really hard for a long while but I’ve accepted defeat now.I view money as a necessity and a flashy life isn’t my aim but to have some sort of comfortable life ( one of some sort of ‘independence’ where your only masters are ur boss and money rather than other people who fund ur lifestyle in a more informal way)requires money, unfortunately. I am constantly stared upon because of the approach I have to money because it doesn’t drive me as much as it does so many of my peers. To that I say, I have a bigger, albeit by a small portion, piece of my soul in the end. Did you start this blog with money in mind? 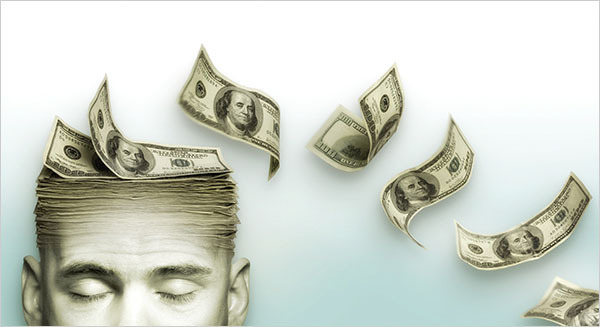 Always have money on my mind, thankfully it’s not the only thing on my mind. But to answer your question, yeah, money was on my mind. On a more serious note though, good post. We all realize this at some point don’t we? By the time we do, oops too late. This is probably the biggest reason I am self-employed. I’d rather be a slave on my own terms. The alternative I suppose would be to become a hippie or rastafarian in country living off the land. Fun thought actually. Good post! Definitely haffi share. Garth, this was a great article and I hope I can disagree with on the points about being a slave to money and money being our master. I don’t know about anyone else, but I am not a slave to money,neither is it my master. Even if you are doing something that you love I am sure that you are not going to do it for free! I am sure that you didn’t leave your child and family to live in and work in a different country because it sounded excitng; as much as you may love what you do, you are still doing it for money. I have some to realise that money can’t buy the things that we truly desire: health, peace of mind, happiness, love,life and contentment.I would say a rich man is a slave to money. Notice how much “protection” him have to have, the more money the more problems! I really love this article and the way your message was carried across. I am in total support of the views presented. Even though people may have their own view on the issue, guys this is real talk.